Get lawyer help now for Airbag Defect related injuries. Qualified injury lawyers are experienced representing clients with serious injuries due to defective airbags, include head, neck and spinal injuries, facial lacerations, eye damage and vision loss, severe burns, and bone fractures. Victims of airbag-related injuries may be entitled to compensation against the manufacturer liable for its defective product. Airbags are designed to be an integral part of a motor vehicle's safety equipment to help prevent injuries in an accident. According to the National Highway Traffic Safety Administration (NHTSA), thousands of passenger lives are saved each year as a result of properly deployed airbags. However, in many cases when an airbag system fails to properly deploy it often results in more harm to a passenger, than good. If you or a loved one has been injured or killed as a result of an airbag defect, you may be entitled to financial compensation. Contact an airbag injury attorney in your area for more information today. Unfortunately, airbag malfunctions as a result of poor design or manufacturing are all too common. According to recent estimates, over 30 million vehicles in the United States from almost every major automaker—including Honda, Chrysler, Toyota, Nissan, Ford and BMW have been recalled as a result of airbag defects. Takata Corp., one of the largest Japanese suppliers of airbags, has been at the center of numerous defective airbag recalls for more than a decade. Millions of cars equipped with its products have been recalled worldwide, and have been linked to a number of serious injuries, as well as killing motorists by exploding airbags. In a number of cases, airbag injuries are known to involve fragments of metal or other debris, which shoot out from the airbag when it deploys, placing the passengers at risk of injuries. These dangerous tiny pieces of debris can cause eye injuries, puncture wounds, lacerations, and various other types of injuries. As a result of a defective airbag accidents, many of the injuries sustained by passengers can be very serious and may also lead to disability, chronic health issues, or even death. If you or a loved one has been the victim of a defective air bag accident, you may have a case to pursue for financial compensation against the automaker and/or air bag manufacturer that is responsible for your injuries. In the event of an accident, it is important that you seek proper medical attention as soon as possible and have your physican make a report of your injuries. Keeping documented records of the incident, along with the guidance of an experienced product liability attorney, will help establish a strong case that will serve in your best interest to recover the maximum compensation you deserve for any medical bills, pain and suffering and other losses. Have you been in an accident where the airbag did not properly deploy and caused you injury? If so, you may have a claim or lawsuit against the airbag manufacturer to recover compensation for any pain and suffering. 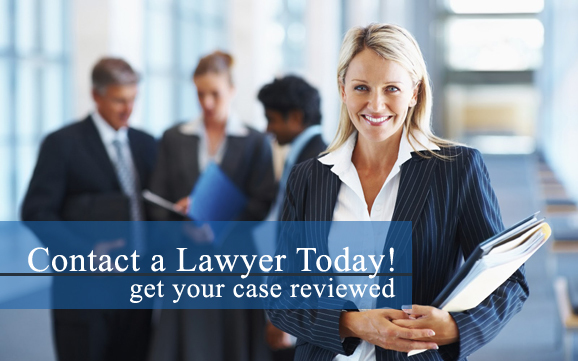 Contact an airbag injury attorney in your area to review your case today. An airbag approximately deploys at about 200-300mph, depending on the manufacturer. This extremely high-rate of speed and pressure can be deadly if an airbag system is not properly set and positioned to inflat directly at the passenger.